Muscle strength is critical in almost everything we do: sitting, standing, running, lifting, moving. Even breathing! By strengthening muscles, you can help your body move more efficiently while creating a more muscular and toned physique! Starting with a warm-up, trainer Carrie will work-along with you to strengthen and sculpt your biceps and triceps, all while engaging your core. Rosalie shares exercises to help keep your posture strong – including planks, rows, oblique work and more. Join Cathe with load and explode plyometrics, varied lunges and hamstring work. Build strong, lean legs! In this fast-paced program, Devin shares some of the exercises he uses for athletic training. There are no excuses not to add this short, efficient workout to your fitness routine. Fitness expert Rosalie Brown created this targeted upper body program to maximize range of motion and elevate heart rate while minimizing impact on lower body joints. This lower body program will work your glutes, hamstrings, calf and core all while delivering a cardio boost. 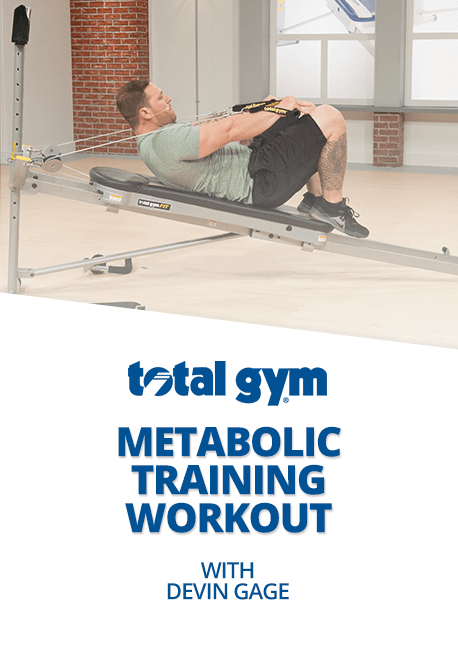 If your goal is a stronger core with tight, lean abs, Total Gym trainer Maria Sollon has created this program just for you! 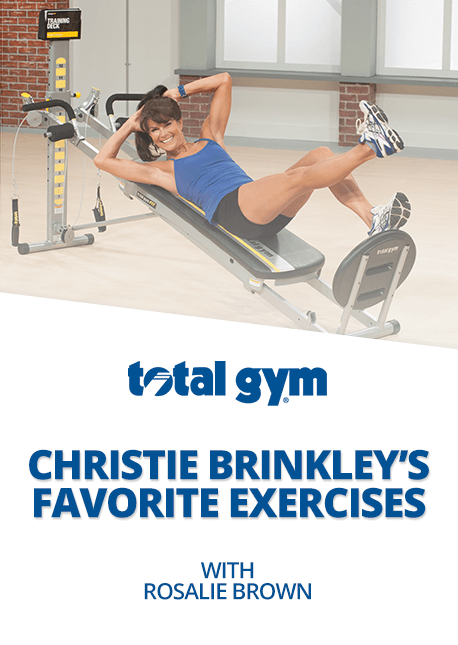 Inspired by icon Christie Brinkley and developed by top personal trainer, Rosalie Brown, this workout incorporates some of Christie’s favorite fitness activities like skiing, surfing and Pilates. Stay moving and activate as many muscles as possible! Each exercise is performed in timed 30 second increments – maximize your reps! 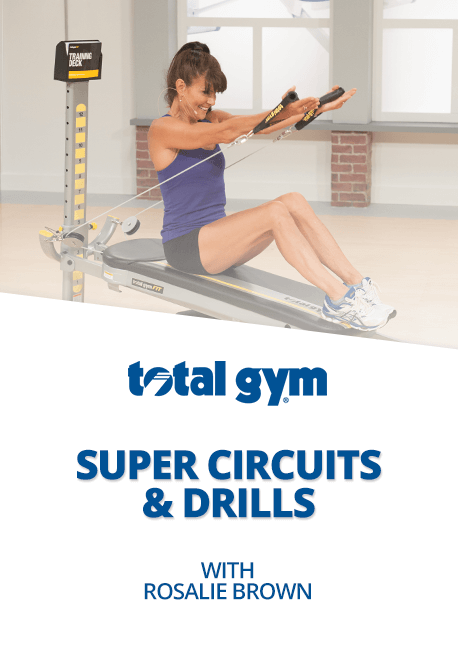 Rosalie guides you through a total body workout centered around exercise tempo: circuit training, pulsing, and hold-and-squeeze exercises are all used! Simultaneously build strength and stretch, with pulse exercises like Pilates 100 for great core activation. 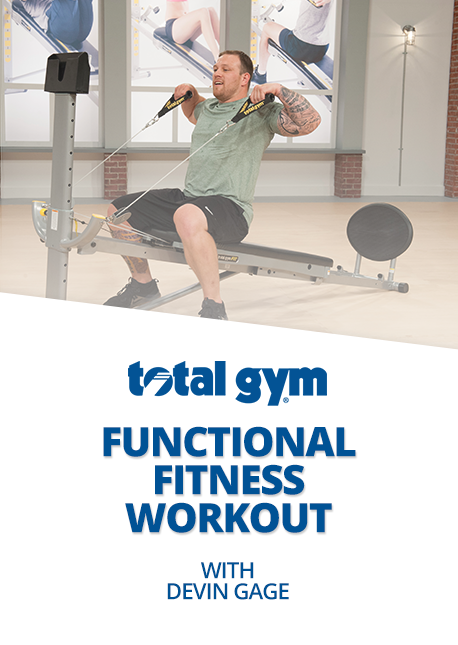 Modifications are offered throughout for beginners through more advanced fitness levels. Designed to mimic everyday movements and activity, Devin leads you through this functional fitness circuit-style workout to increase your core stability and over-all strength. Jumpstart your morning! Cathe will work your entire body in this efficient, fun and fast-paced program. Work along with Rosalie on this intense drills program targeting each major muscle groups – upper body, lower body, core. Inspired by the man, the myth, the legend, Chuck Norris. 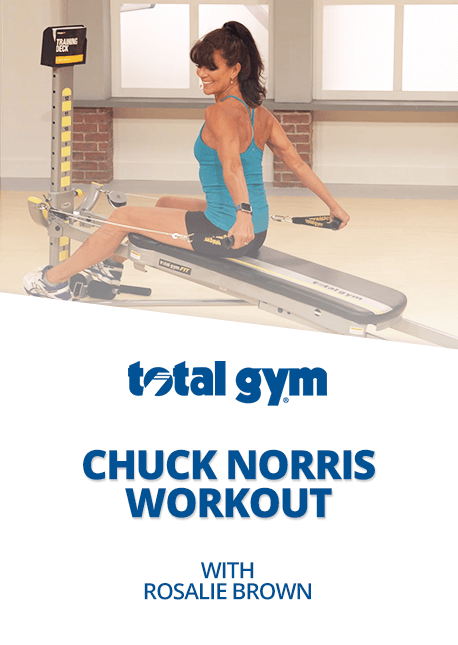 Includes Chuck’s favorite exercise and some tips and tricks he has shared with Rosalie over the years. 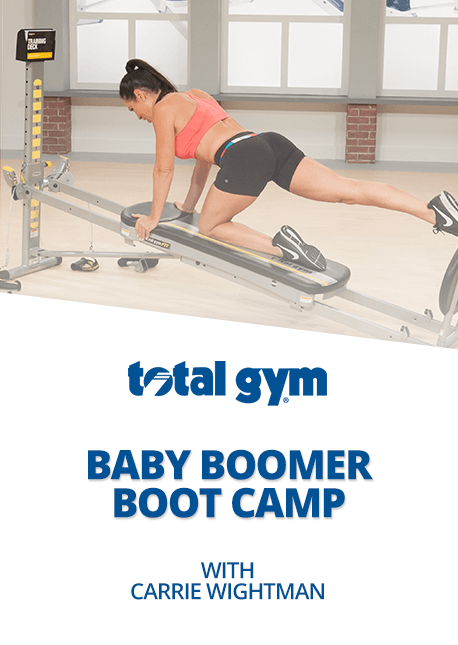 In this total body reconditioning workout, Carrie will help you get the hop back in your step and allow your body to work against gravity – one of the key secrets to youth. This step-by-step program to gives you the most effective workout when you’re crunched for time. 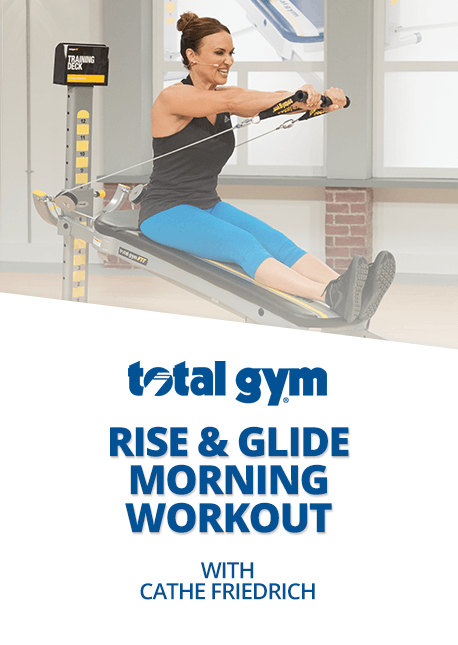 Boost energy & Blast-away Fat with this Total Gym® Beginner Workout. 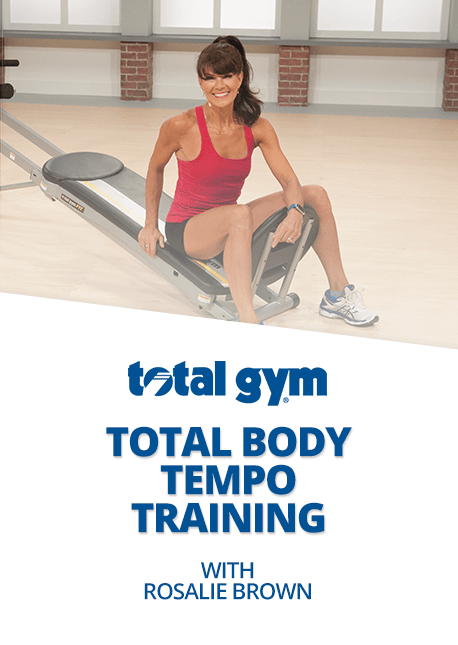 Take your workouts to the next level with total body training that challenges strength & increases intensity! This ultimate fat-blasting workout delivers great head-to-toe results in a 3-week program. 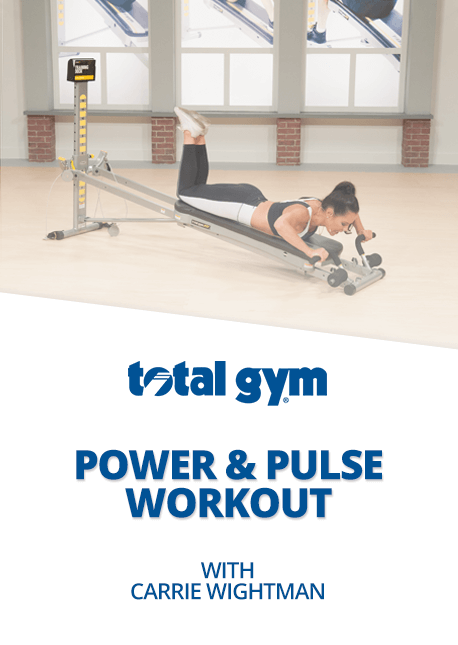 Work-along with Rosalie as she shows you how to get into the best shape of your life with Total Gym®. Target your entire body with specific routines for your Lower Body, AbCrunch and Total Body training! 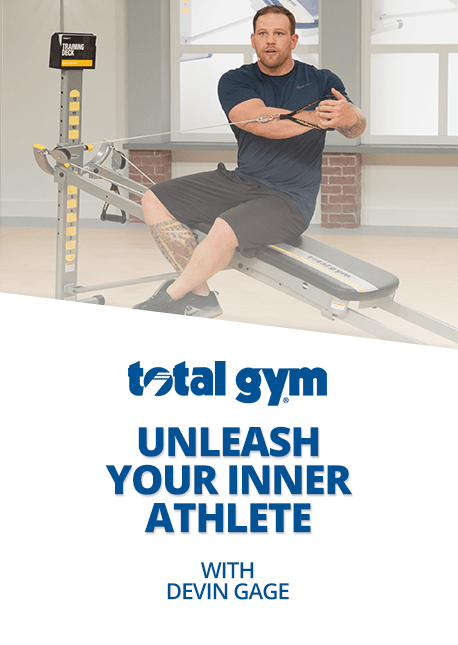 Learn the fundamental movements and body positions on Total Gym®, with internationally renowned Rob Glick, master presenter and trainer.